Oscar Fletcher was born in Bennettsville, SC in 1938. He grew up on a dairy farm in McColl, SC and completed public school education there. He attended Wofford College (1956-59) where he received a BS degree in 1960. 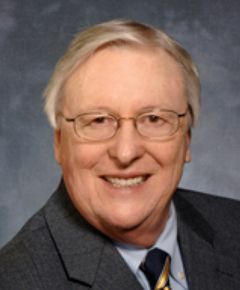 He attended Clemson University (1959-60) to get credit for required pre-veterinary courses; was a student in the College of Veterinary Medicine at the University of Georgia (1960-65) earning the DVM degree in 1964 and an MS degree in veterinary pathology in 1965. Further graduate work was done at the University of Wisconsin, Madison (1965-68) where a PhD degree was received (1968). Dr Fletcher is a Diplomate of the American College of Veterinary Pathologists and a Founder Diplomate of the American College of Poultry Veterinarians. Dr Fletcher joined the faculty of the College of Veterinary Medicine at the University of Georgia in 1968 as an assistant professor of veterinary pathology. He was promoted to associate professor in 1972, joined the Department of Avian Medicine in 1973, served as the acting associate dean for academic affairs (1972-73), associate dean for academic affairs (1976-1882), and was promoted to professor in 1978. He was named Head of the Department of Avian Medicine and Director of the Poultry Diagnostic & Research Center in 1982. In 1989, Dr Fletcher became Dean of the College of Veterinary Medicine at Iowa State University; then served as Dean of the College of Veterinary Medicine at North Carolina State University from 1992- 2004. Since 2004, Dr Fletcher has been a professor in the Department of Population Health & Pathobiology at NC State. Dr Fletcher was the major advisor for 10 PhD students; served on advisory committees for 24 MAM students at Georgia, and has been involved in the education of 20 Poultry Health Residents at NC State. Dr Fletcher provided histopathology support for a number of research projects that included responses of the respiratory system to Mycoplasma infection, Marek’s disease including pathogenesis of central nervous system lesions in transient paralysis, inclusion body hepatitis, responses of tracheal tissue to infectious bronchitis virus, and experimentally induced inflammation in air sacs. He is author or co-author of 147 journal articles, a number of book chapters, editor of the 3rd edition of Avian Histopathology, and associate editor of the 4th edition. Dr Fletcher served as president of AAAP (1994-95), editorial board of Avian Diseases, member of the Scientific Program Committee, Poultry Section, AVMA (1989-1995), president of the American College of Poultry Veterinarians (1993-94), and served on the Council on Research, AVMA (1991-97 – serving as Chair in 1996). Oscar and Sybil have been married for 54 years. They have two sons, John, a CPA living in Houston TX, and Gregg, account executive for OutFront Media, daughter in law Collen, and grandson Heath living in Budd Lake, NJ. Photography is Oscar’s hobby.